Although being a control subject in Alzheimer’s research studies involves plenty of memory tests, there are neurological tests too. I was tickled with feathers, tapped on the elbows and knees, peered at with a penlight in my eyes. And there were psychological questions: On a scale of one to ten, do you usually feel life is worth living? I was weighed and measured. I gave blood. I peed in a cup. My family tree was drawn, with special attention to anything that might be relevant: Grandma Cere’s Parkinson’s disease; Great Aunt Eine’s Alzheimer’s disease, which started in her seventies. I was approved for a lumbar puncture, more commonly known as a spinal tap, and a week later, I came back and curled up in a ball while two tablespoons of fluid were extracted from my spine with a long quivery needle: two tablespoons that would be turned into 50 droplet-sized samples for research. My husband filmed nearly all of it, from What day is it? right through the spinal tap. Later, we filmed interviews with four different doctors. But for me, those first filmmaking visits to the University of Washington’s Alzheimer’s Disease Research Center (ADRC) turned into more than just clips for our documentary, Quick Brown Fox: an Alzheimer’s Story. It was the beginning of what has become a meaningful part of my life. I am a regular research participant. Every fall, the ADRC calls me in. Depending on what studies they’re running, they may ask me to undergo a spinal tap (I’ve done five so far), but mostly it’s memory and neural testing. Once, a different UW department asked me to take part in an Alzheimer’s study that required an MRI: a Star Trek-like experience in which I lay down on a sort of conveyor belt that slid me into a tube that took pictures of my brain. Some people are surprised that I want to participate in research. They ask if I get nervous about the memory testing, and even though I don’t suffer from a general fear of test-taking, the answer is: given what’s at stake, of course I do. I breathe a lot as I walk into the VA on the appointed day; I pep-talk myself about how the best strategy is to stay calm. Once the testing starts, I try to relax into it and just stay focused. But what if one year I don’t pass with flying colors? Sure, that’s a scary thought. But if it happens, wouldn’t I want to be in immediate contact with the top Alzheimer’s researchers in my city? Wouldn’t I want to participate in, for example, a drug trial for people in the early stage? Yes and yes. And meanwhile, given my high level of fear about Alzheimer’s, it is extremely comforting to know that I’m still a high-functioning control subject. 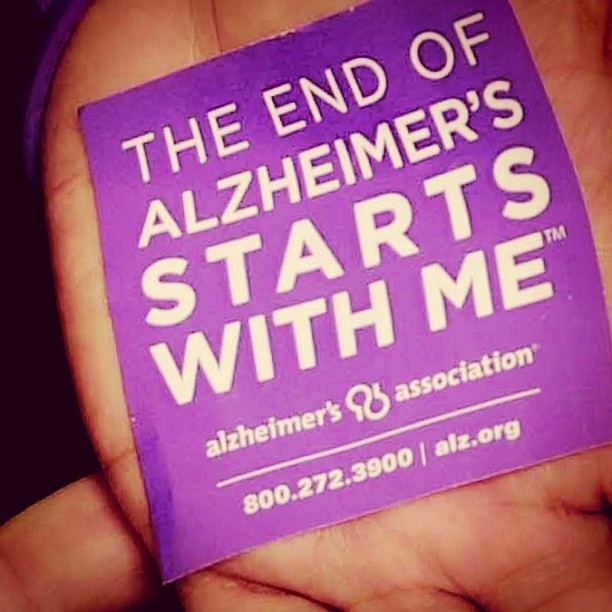 It is also important to feel like I’m doing something for the cause of ending Alzheimer’s. I don’t have large amounts of money to donate. But I do have small chunks of time that I can gladly give. And as long as I don’t have to change a tire or carry bear spray, I’m in. Speaking of, wouldn’t it be great if employers gave people time off to volunteer for research? As a self-employed filmmaker and writer, this is not an issue for me, but for many people it is. And if we could step up the pace of research, would that not be a wonderful thing? 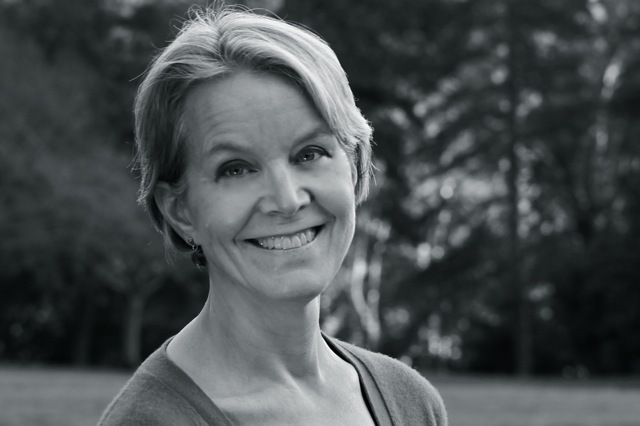 Ann Hedreen is an author (Her Beautiful Brain), documentary filmmaker (Quick Brown Fox: an Alzheimer’s Story) and a longtime volunteer for Alzheimer’s research. She and her husband/filmmaking partner Rustin Thompson are both Northwest natives. They live in Seattle. This 2nd part in Ann Hedreen’s series about being an Alzheimer’s research subject will both make you cringe – ugh, lumbar puncture – and will make you proud to know that someone such as Ms. Hedreen exists in this oftentimes self-centered world in which we live. As someone whose father died from Alzheimer’s complications, I am most appreciative of her efforts. Although monetary donations are greatly needed, for me, it’s certainly easier to open my wallet than to offer my spine for research. Not only did Ann offer her spine, she did it more than once. I have volunteered for other studies such as diabetes and women’s brast studies, but I am most interested in participating in one to do with Alzheimer’s. I lost one first cousin three years ago to complications of Alzheimer’s, and two uncles in Hawaii to the very same conditions. I am afraid that I may have a genetic predisposition to Alzheimer’s and want to participate so I can help not only myself, but others. I am particularly concerned about my 5 siblings and their offspring, of course.. Thank you for sharing your story. As Ann wrote, volunteering for research is a wonderful way to be proactive for your own future and your families. You can learn more about risk factors, current research studies and enroll in a study near you at alz.org/research/. Thank you for your story and for your contributions to find a cure to Alzheimer’s.